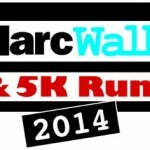 The HarcWalk & 5K Run will be held on Sunday May 3rd 9:00 AM, at Rentschler Field in East Hartford. HARC is a nonprofit organization founded in 1951 and serves greater Hartford. HARC’s mission is to help individuals with intellectual disability and their families enjoy lives of quality, inclusion, and dignity by providing support, education, and advocacy. Registration for the run is $25 and all proceeds from the event go to support the life-long programs and services HARC provides for over 2,200 individuals with intellectual disability and their families. The 5K course is separate from the walk and will be flat and fast. Medals will be given to all runners who break their fastest 5K time in the Speed Challenge. Free event T-shirts will be given to the first 75 runners to register. You can register online at www.harcwalkrun2015.kintera.org.